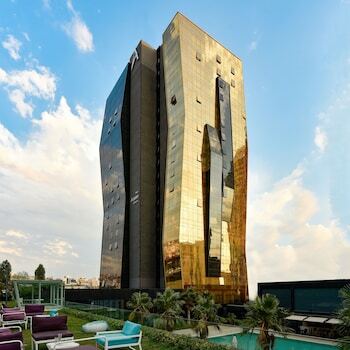 With a stay at Tango Arjaan By Rotana in Istanbul, you'll be 3.9 mi (6.3 km) from Bostanci Port and 5.4 mi (8.6 km) from Suadiye Beach. Featured amenities include a business center, complimentary newspapers in the lobby, and dry cleaning/laundry services. A roundtrip airport shuttle is provided for a surcharge (available 24 hours), and free self parking is available onsite. With a stay at Honey House Apartment in Istanbul (Old City), you'll be minutes from Cagaloglu Hamami and Basilica Cistern. Located in Cesme, Casa Luna Butik Otel - Adults Only is a 4-minute drive from Pazaryeri Mosque and 9 minutes from Alacati Marina. Free self parking is available onsite.